what a beautiful loaf! Full of flavours! What wonderful looking bread - the texture looks just perfect and I love the combination of flavours. This bread looks beautiful, rustic, and delicious! 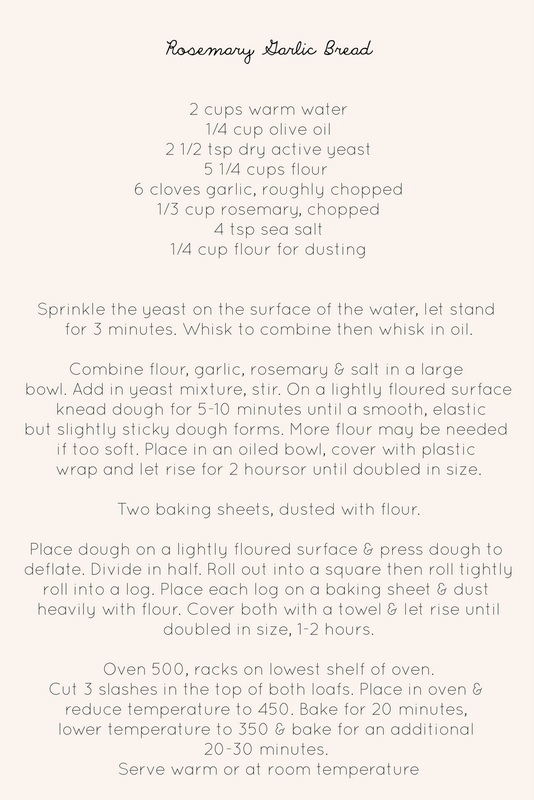 I've never attempted homemade bread (besides the dessert types), this just might be the one! Just one question, am I missing the kneading step(s) in this recipe? When and for how long should I knead? I love rosemary in bread. This looks delicious. I can't wait to try it. Bleu cheese with olive oil on the bread?! Magnificent! This leaves me speechless and hungry. that looks so delicious. i love the way you photograph your eats. very nice crust and crumb! it almost seems like you made it with sourdough, very very nice! Thanks for the updated recipe card, I'm making this today. It's rising now! What type of flour did you use, wheat? 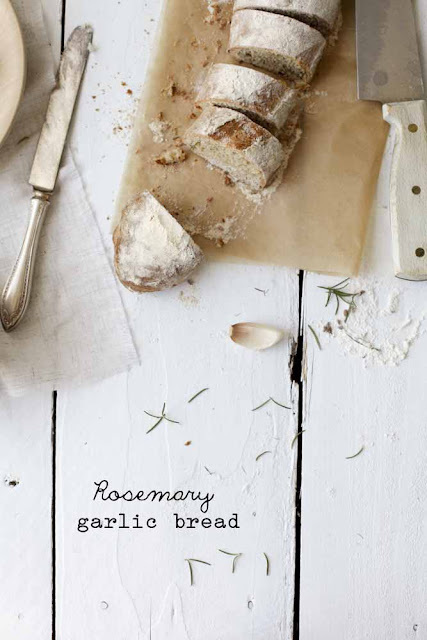 Wow, rosemary and garlic sounds so good right now! Awesome combo! I love this season too, it's the perfect weather to bake and then eat :) Thanks for the wonderful recipe, have a great day! Sounds like an absolutely wonderful bread recipe. Thanks! Just made these loaves, and they came out perfectly... Next time I will use a bit less salt but I would not change another thing... Amazing. Just made this. Tastes amazing! Thanks for the recipe.